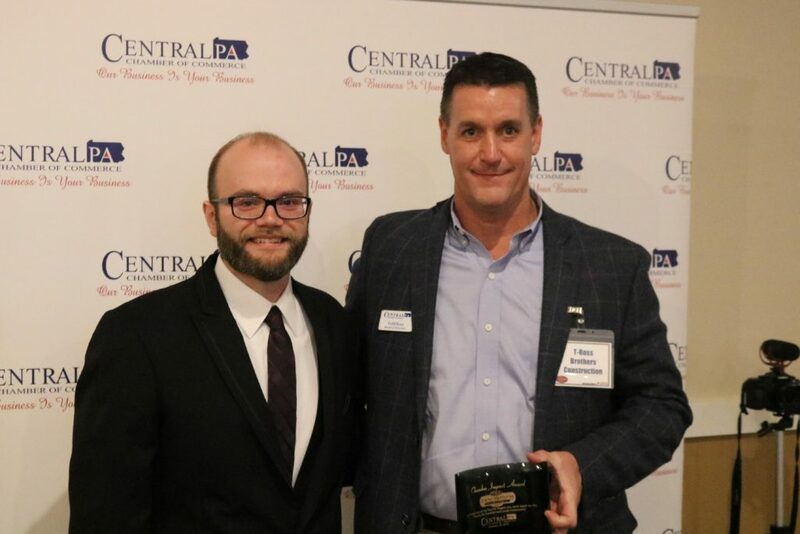 MILTON — T-Ross Brothers Construction is the proud recipient of the Chamber Impact Award from the Central Pennsylvania Chamber of Commerce. T-Ross Brothers Construction President Todd Ross accepted the award. The award recognizes a business or organization that has a positive impact on the community. T-Ross Brothers Construction was recognized for renovating and building “The Smith Room” in honor of the late Bruce T. Smith, Jr., who served as President & CEO of the Central PA Chamber before his death in May of 2017. “The Smith Room” will be used as a training center at the Chamber of Commerce offices in Milton. Other recipients of the Chamber Impact Award included Evangelical Community Hospital of Lewisburg and The Graphic Hive of Williamsport. The post T-Ross Brothers Construction receives Chamber Impact Award appeared first on T-Ross Brothers Construction, Inc..